Weddings are all about creating and renewing the bonds of family and friends that make our lives. For gentlemen especially, it can represent a rare gathering of friends and family both old and new that may never happen again. Adding cigars to such an occasion is an age old tradition for a very good reason. Reminiscing over old times and talking about the future over a fine cigar is a moment that you will never forget. For young adults weddings are often the first time they get to experience the simple joy of a great smoke among friends. 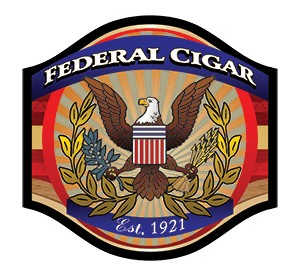 Federal Cigar has developed unique packages just for weddings that make it easy and affordable to add this elegant tradition to your celebration. How Many Cigars Should I Order For My Wedding? You may already know which of your guests are avid smokers, but on your big day, guests who don’t smoke may be inclined to light up. Some non-smokers even collect personalized wedding cigars. Typically, we recommend ordering enough cigars for at least half your guests, but in many cases, our customers order more. ..you’ll need about this many cigars. What Kind Of Cigars Should I Order For My Wedding Guests? Whether you are a cigar connoisseur or a total novice, cigars are a great way to add style to your reception. We help everyone enjoy the special day by choosing a variety of cigars suited to your guests’ various levels of experience. Federal Cigar’s wedding collections are curated for a broad audience. Show your guests appreciation, whether they are a social smoker or cigar aficionado.